Leola Anderson joined the prestigious law firm of Leake & Andersson in 2017. She received her undergraduate education at the University of New Orleans, earning a Bachelor of Science in Accounting from the College of Business Administration in 1999. She later earned a Juris Doctor from Loyola University College of Law in 2006 with the benefit of attendance at the Southern University Law Center and Sturm College of Law, University of Denver. In 2004, Ms. Anderson served as an intern for the Louisiana State Court of Appeals, Fourth Circuit for the Honorable Judge David S. Gorbaty. 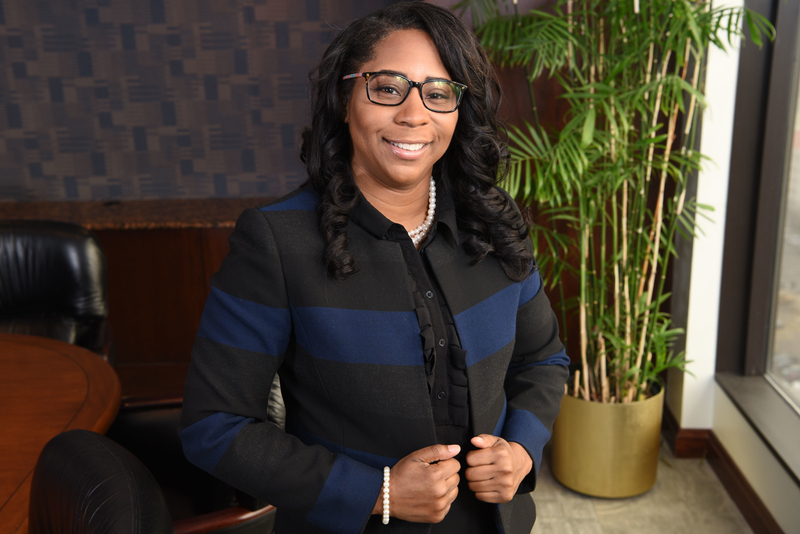 Currently, Ms. Anderson’s practice focuses on general litigation, defense of personal injury, product liability, premise liability, and employment discrimination, harassment, whistleblower and wrongful discharge matters. Prior to joining Leake & Andersson, Ms. Anderson practiced with another New Orleans law firm for 9 ½ years focusing on representing plaintiffs across the United States in personal injury matters, with an emphasis on medical malpractice and product liability litigation. Ms. Anderson was selected for inclusion in the 2014, 2015, 2016, and 2017 Louisiana Rising Star lists, which honor the best Louisiana lawyers under age 40 and those who have practiced less than 10 years. Ms. Anderson has devoted her time and energy to disadvantaged youth. She presently serves as the Youth Pastor of Abundant Life Tabernacle Full Gospel Baptist Church, Pastor Tyrone G. Jefferson. Ms. Anderson is a single mother of one son, namely Tijh N. Bell.